Corticosteroids and 5-aminosalicylic acid are the primary standard therapy for inflammatory bowel disease. Recent immunologic data implicate an involvement of mast cell activation followed by increased histamine secretion and elevated tissue concentrations of histamine in the pathogenesis of ulcerative colitis. In the present case, the clinical course of a 35-year-old man with steroid-dependent chronic active ulcerative colitis, who did not respond to high-dose steroids, antibiotics, or azathioprine during 3 years, is reported. Clinical disease activity and established serological markers were recorded during 6 weeks of unsuccessful therapy and during the next 6 weeks, as a new nonsedative antihistaminergic drug, a mast cell stabilizer, and an hypoallergenic diet were implemented in addition to conventional therapy. Induction of remission was achieved within 2 weeks after treatment with fexofenadine, disodium cromoglycate, and an amino acid-based formula. Clinical disease activity, stool frequency, leukocytes, c-reactive protein, and orosomucoid levels in serum decreased rapidly. Daily steroid administration could be gradually reduced along with 6 weeks of this treatment. 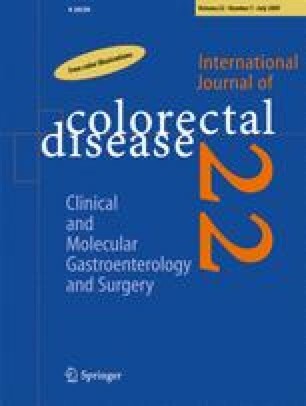 This report suggests that histamine and mast cell activity may be important pathophysiological factors responsible for persistent clinical and mucosal inflammatory activity in ulcerative colitis despite the use of steroids. In ulcerative colitis, patients unresponsive to conventional treatment, therapeutic considerations should also include an antiallergic approach when further signs of atopy or intestinal hypersensitivity are present. Parts of this study were presented at the Annual Meeting of the European Histamine Research Society, May 2000, Rome, Italy.